You are here: Home / Savory / The Secret to Cooking Healthy Vegetables That Actually Taste Good! With the trendy raw food diet all over Instagram, you might be wondering if cooking vegetables is bad for you. Despite its current popularity, the raw food diet has actually been around since the 1800s and involves avoiding all processed and cooked foods, with the goal of absorbing as many nutrients as possible and improving your health. So if not cooking vegetables is good, does that make cooking vegetables bad? No, it doesn’t. In fact, some veggies are actually better for you when you cook them. Most people find raw vegetables a challenge to eat. Even if you don’t have a digestive disorder like IBS, cooking vegetables makes them much easier for your body to digest, so you’re less likely to suffer from bloating, stomach pains or toilet troubles. Many veggies also have a very acquired taste and texture when they’re not cooked, which can put you off eating them altogether. If cooking vegetables means you’re more likely to eat them, then surely cooking vegetables is a wonderful thing! Of course, it’s all down to how you cook them. 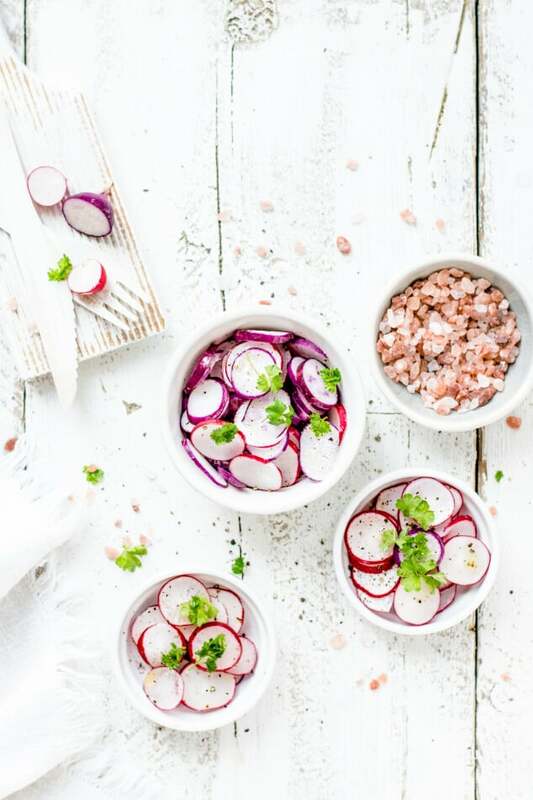 Click here to sign up for my newsletter and get instant access to the top 10 healthy vegetable recipes that taste amazing! You probably associate the ping of the microwave with unhealthy ready meals. But that little magic box in your kitchen can help you prepare quick and easy dishes loaded with nutrients. Because microwaves cook food by heating it from the inside out, all the nutrition is locked inside. As long as you use microwave-safe plates, bowls and containers, there’s no risk of anything sticking, so you don’t need to add oil. And any unwanted dryness can usually be avoided if you spritz a little bit of water onto the dish before cooking. Best foods for microwaving: vegetables, grains, meat, fish, eggs – essentially everything! Steaming allows food to cook in its own juices and keep all of its natural goodness locked inside. You can buy a proper steamer to cook your food or take the cheapskate way out like I do and make your own steamer at home. Fill a saucepan with water and place a colander inside the pan. The water level needs to be low enough so it doesn’t come inside the colander when boiling. Bring the water to the boil, place the food inside the colander and pop a lid on. Just remember to keep checking the water level to make sure it doesn’t all evaporate. Sautéeing involves lightly frying food in a tiny bit of oil in a skillet/frying pan. This works best with stir fry-like dishes where all the ingredients are cut into thin, bite-sized pieces. Because the temperature doesn’t get very high and cooking time is generally short, the food retains most of its nutrients, while the oil creates a beautiful and delicious sear. When choosing an oil, go for olive oil. Studies show that cooking veggies in a small amount of olive oil increases the antioxidant capacity. There’s a reason olive oil is a big part of the healthy Mediterranean diet! Microwaving, steaming and sautéeing might be the healthiest ways to cook vegetables, but there are plenty of other ways to cook veggies to make them taste delicious while still being good for you. Here are some of the best cooking methods that will leave you licking your plate. There isn’t anything in the world that doesn’t taste fantastic when you roast it. Chicken. Marshmallows. And veggies! Whatever type of vegetable you’re cooking, chop it up into bite-sized pieces, drop them in a Ziploc bag and add in a sprinkle of salt, pepper, onion powder, garlic powder and a small drizzle of olive oil. Give the bag a good shake to cover all the veggies in the seasonings then roast in a 400F/200C preheated oven until crunchy and brown on the outside. This works amazingly well for roasted cauliflower bites! Most people would agree that frying is the easiest way to make vegetables taste good, but it’s definitely not the healthiest option. That is until the airfryer came along! You can fry all kinds of foods – including veggies – in this machine with just a tiny bit of oil. If you really struggle with the taste and texture of vegetables, you should seriously consider getting an airfryer. It will change your life! If you’ve got a set of quality non-stick frying pans, you can “fry” your vegetables without any oil. Simply add the veggies to a hot pan, give them a bit of a stir every few minutes and cook until they’re crunchy on the outside and cooked on the inside. They don’t crisp up as much as if you used a little oil, but it’s a healthier (and cleaner – no oily pan to wash up!) alternative. This method also works really well for making fried eggs without any oil. Similar to steaming, pressure cooking is a great way to lock in the nutrients without losing any of the flavour. Because they’re so popular, you can find loads of healthy pressure cooker recipes online and the speedy cooking times and minimum effort means you can get dinner on the table in no time at all. How can I make vegetables taste better? Disclaimer: one of the biggest secrets to healthy ways to cook vegetables that taste good isn’t actually anything to do with cooking them. It’s what you do to the veggies before and after you cook them that matters! 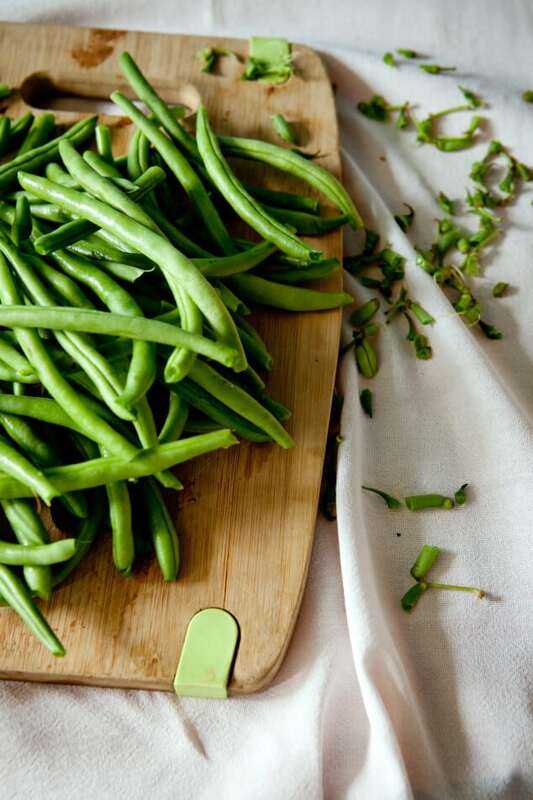 Here are 4 quick and easy ways to make your vegetables taste better. Vegetables aren’t just cheapest when they’re in season – they’re also at their most delicious! 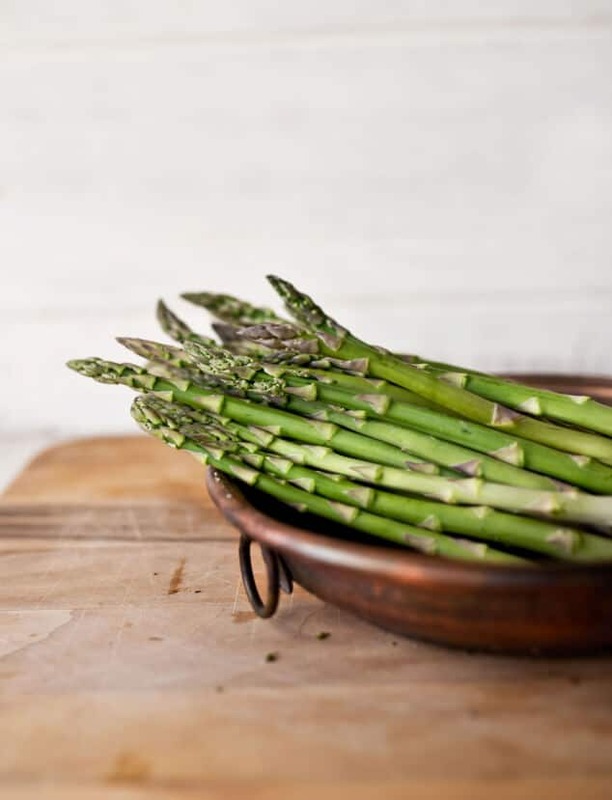 So tuck into fresh asparagus in spring, rich tomatoes in summer, sweet pumpkin in autumn and nutty cauliflower in winter. Check out this guide to seasonal fruits and vegetables to see what’s at its best when. Adding just a sprinkling of salt and pepper is an easy way to transform a dish from ‘meh’ to ‘YUM!’ You can add as much pepper as you like to a dish, but don’t go overboard with the salt. A small pinch is fine, but if you start going over the top you’ll end up consuming too much sodium and will risk increasing your blood pressure levels. 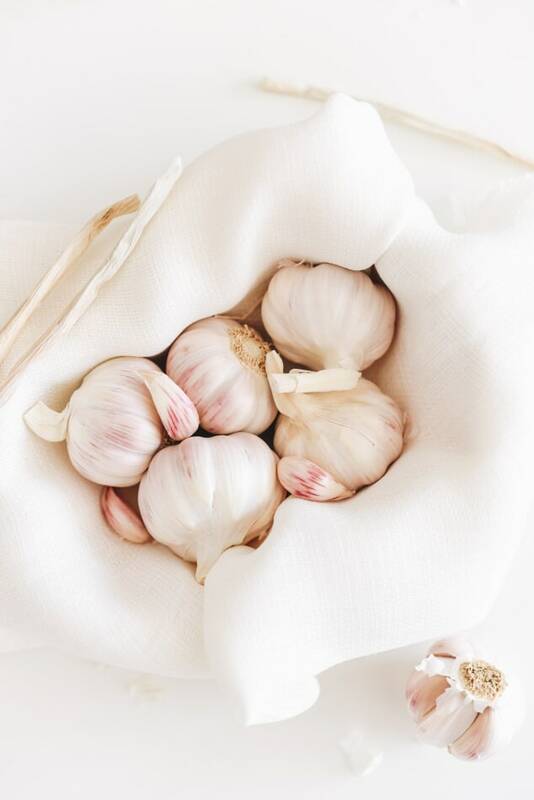 Other mild seasonings you can add to your vegetables to make them taste better are dried garlic powder and dried onion powder. A step up from seasoning, you can add loads of flavour to veggies if you marinate them before cooking. You can go for a dry marinade and sprinkle your veggies with a mix of herbs and spices or turn your dry marinade into a wet marinade by adding liquid ingredients like stock, vinegar, soy sauce or healthy oils. Here are 5 healthy marinades for grilled vegetables. As long as you keep the sugar and the fat levels down, pretty much all marinades are healthy. I’m not talking about smothering your veggies in ketchup, unless it’s homemade ketchup, of course. But having a healthy sauce on the side you can dip your veggies in makes the world of difference. Here’s a couple of healthy 5-minute sauces to make your veggies taste amazing. If you’re not a master in the kitchen, you don’t have to make your own sauces. Look for low-fat, low-sugar sauces the next time you’re out shopping and pop them in your cart. I’ve put together a round-up of 10 of the very best recipes for healthy ways to cook vegetables that taste good! Click here to sign up for my newsletter and get it for free. Even if you think vegetables are the worst things in the world, I bet these amazing healthy vegetables recipes will totally change your mind.